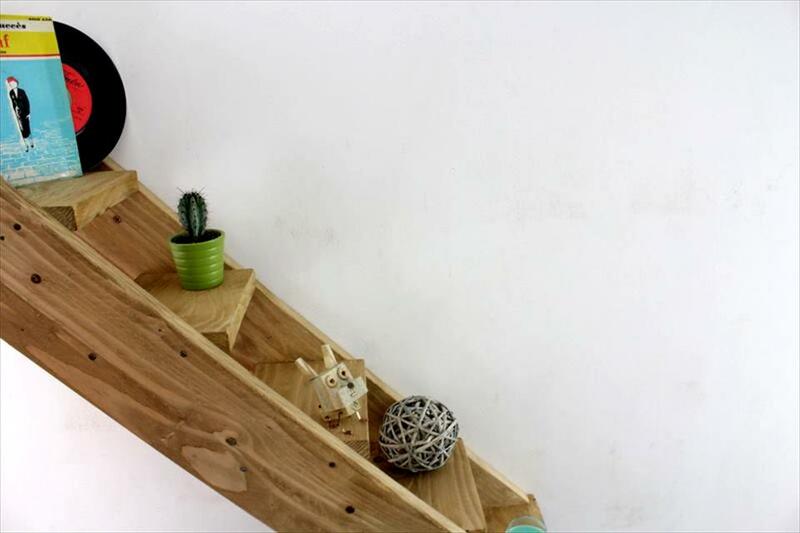 One thing that is being produced in a plentiful number from the pallets is the Shelf in a variety of styles and designs to organize the homes in different tempting ways. 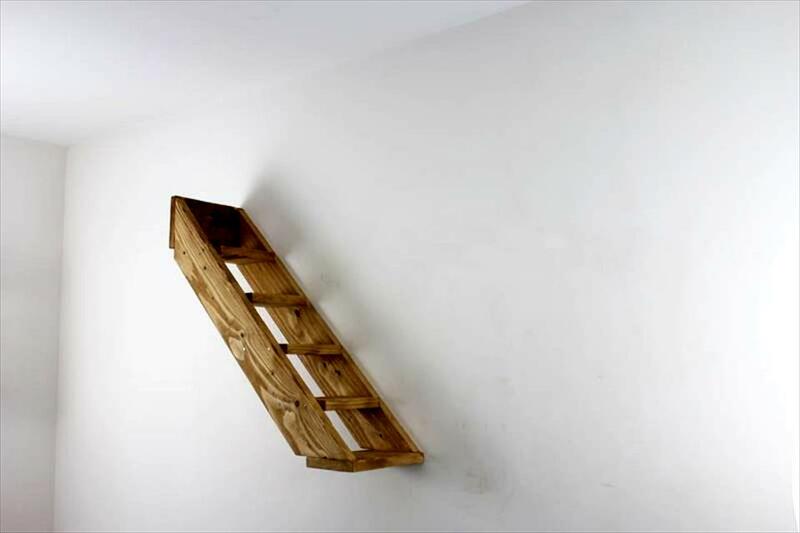 There are many kinds of shelves that can build from the pallets for different storage and organization purposes but for the display and holding of decor ornaments the wall mounted shelves or shelf units are the best options to opt for. 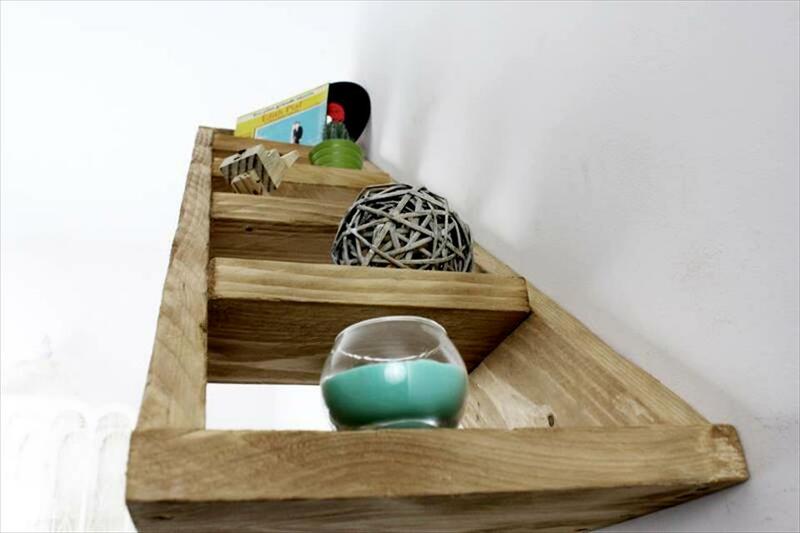 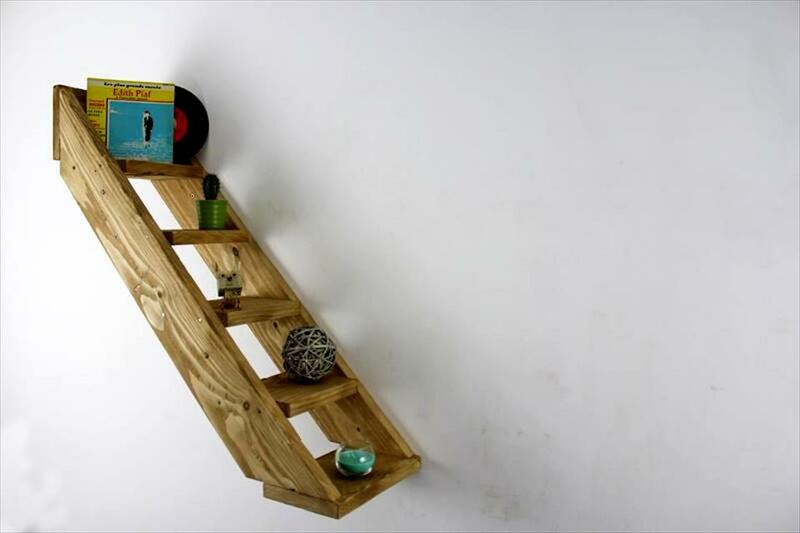 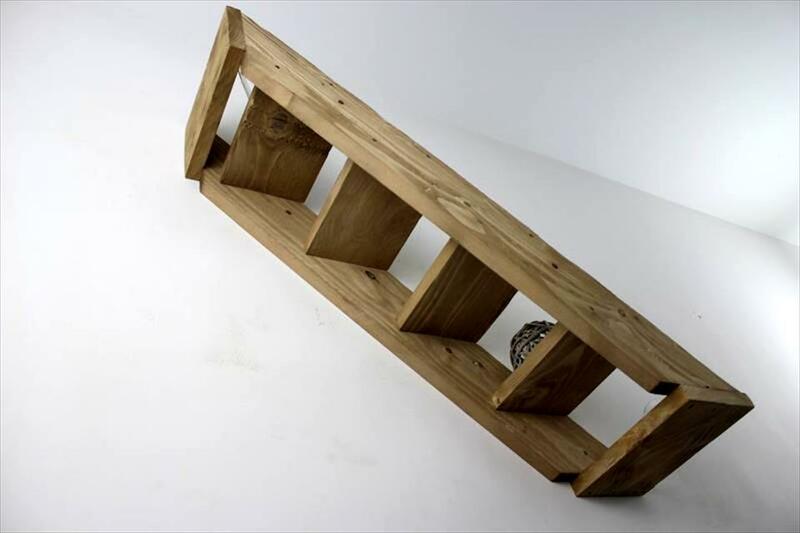 And here with this DIY pallet shelf for walls we present you a whole new avatar of the display shelves that is purely unique and creative in shape.